The Canadian Real Estate Association’s report on activity for July showed resales edging up 0.2 per cent from June on a seasonally adjusted basis and up 9.4 per cent from July 2012, when tighter rules put the brakes on lenders and buyers. Despite the recent uptick, the total of 284,865 homes that traded hands in the first seven months of 2013, is 4.6 per cent fewer than the corresponding period last year. “Canadian home sales have staged a bit of a recovery in recent months after having declined in the wake of tightened mortgage rules and lending guidelines last year, but the numbers for July suggest that national activity is levelling off at what might best be described as average levels,” said Gregory Klump, the real estate association’s chief economist. The national average home price was $382,373, 8.4 per cent higher than a year ago, although Klump said that was mostly because sales were concentrated in expensive major markets. Excluding sales in Toronto and Vancouver, the national average price would have gone up only half as much and sales volume would have been down from June, the CREA report notes. Vancouver had a 12 per cent increase in sales in July relative to June and a 39.9 per cent increase from the same month last year, while Toronto’s sales were up 4.8 per cent month-month and up 12.9 per cent year-year. 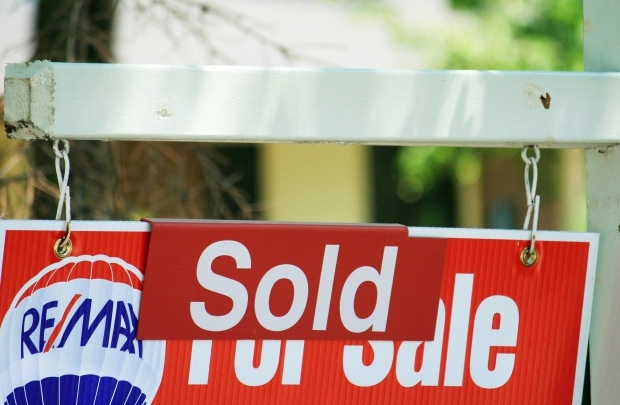 Bank of Montreal chief economist Doug Porter added that the numbers may also have been inflated by the fact there were five Mondays and Tuesdays during July, traditionally two big days for closing real estate deals. “The big picture is that the market has proven to be reasonably resilient, but I don’t think it is taking off again in a meaningful way,” Porter said. He said the July numbers may have been boosted by fence-sitters jumping into the market after mortgage rates rose in June. David Madani of Capital Economics — who has previously warned he expects a major contraction at some time in the future — believes many Canadians have pulled forward their home purchases in expectations mortgage rates will rise in future months. While many economists and industry watchers have said the Canadian housing market was likely to cool for a time after several years of heated sales and above-average price increases, relatively few have predicted a severe decline. Canada Mortgage and Housing Corp. reported separately Thursday that the western provinces are helping stabilize construction activity and momentum will build into next year. However, CMHC has lowered its previous estimate for 2014 to about 186,600 units, down 2,300 units from the June estimate of 188,900. The Ottawa-based government agency is now estimating that between 177,100 and 188,500 housing units will be started this year. That’s about 182,800 units at the mid-point, down from 214,827 housing starts last year but about the same as in the previous forecast issued in June. “CMHC expects single-detached units and housing units built in the western provinces to account for a higher share of total housing starts over the forecast horizon,” said Mathieu Laberge, CMHC’s deputy chief economist. This entry was posted on Saturday, October 26th, 2013 at 2:01 am and is filed under Investment Properties, Residential - Toronto, Residential - Vancouver BC, TODAY'S MARKET UPDATES. You can follow any responses to this entry through the RSS 2.0 feed. You can leave a response, or trackback from your own site.